In "A Giant Adventure" Superbook takes our heroes on the frontline of battle when David meets the giant Goliath. Superbook: A Giant Adventure DVD by ; was published by Charisma House in November 2015 and is our 6001st best seller. The ISBN for Superbook: A Giant Adventure DVD is 9781943541058. 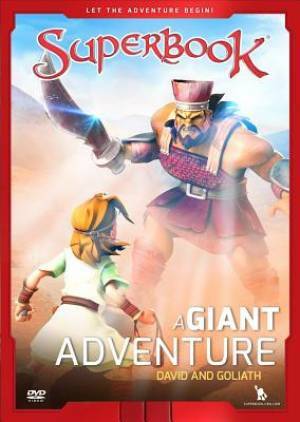 Be the first to review Superbook: A Giant Adventure DVD! Got a question? No problem! Just click here to ask us about Superbook: A Giant Adventure DVD.